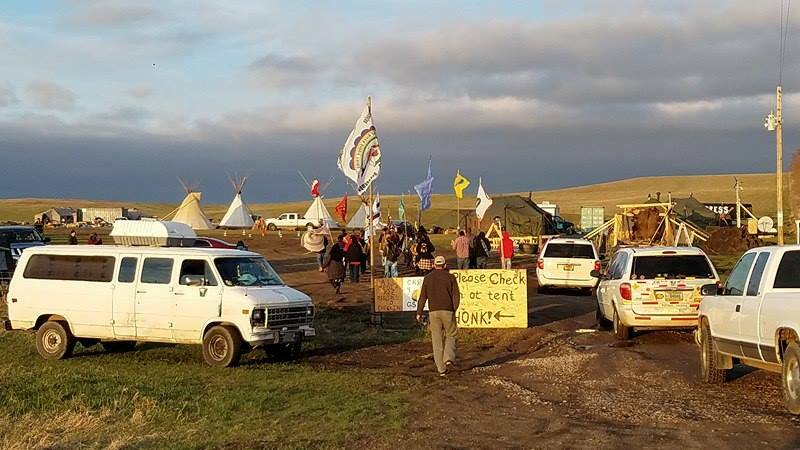 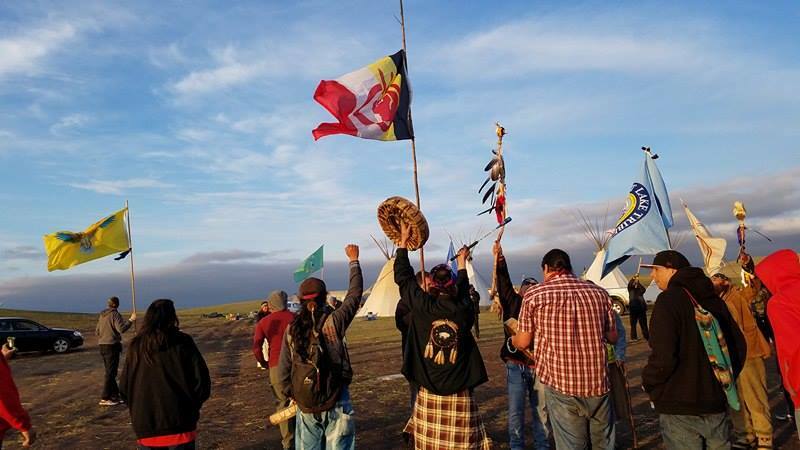 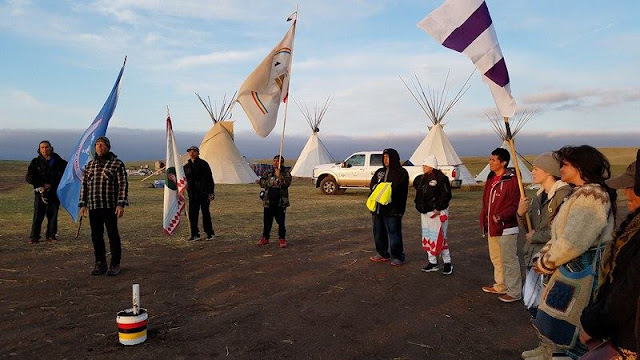 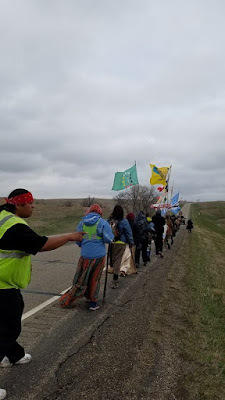 Walkers back at Cheyenne River's Four Bands Camp tonight along the Cannonball River after walking from Standing Rock today. 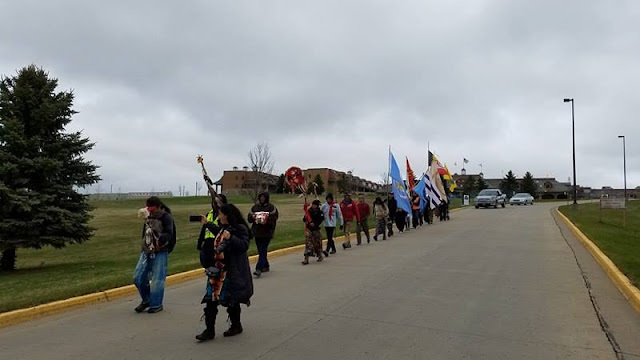 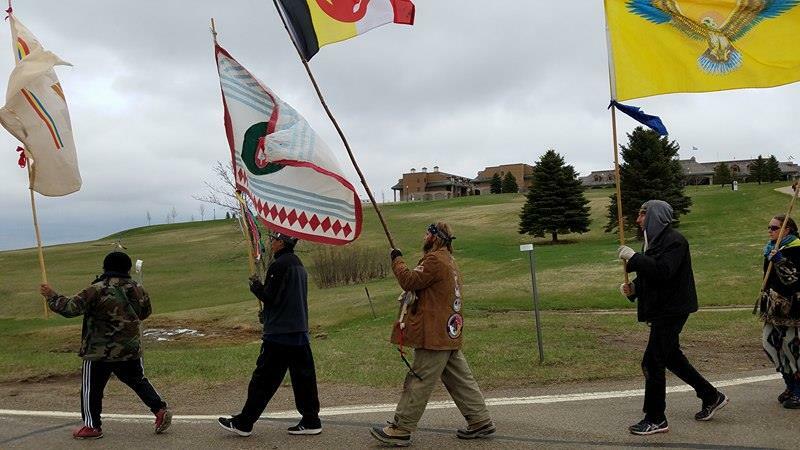 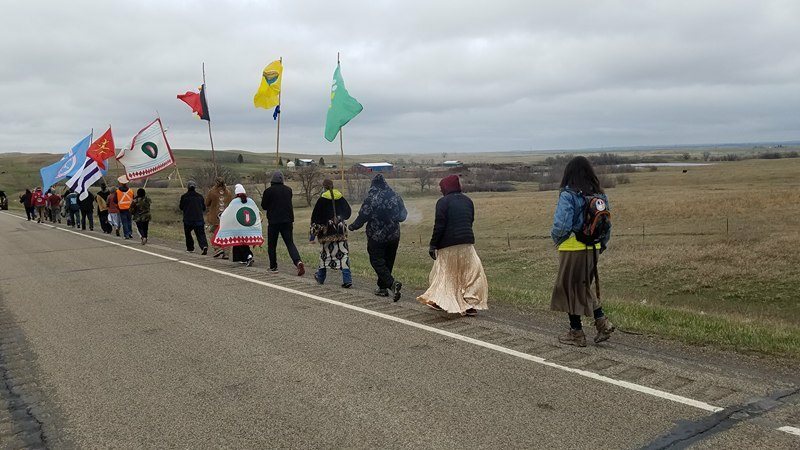 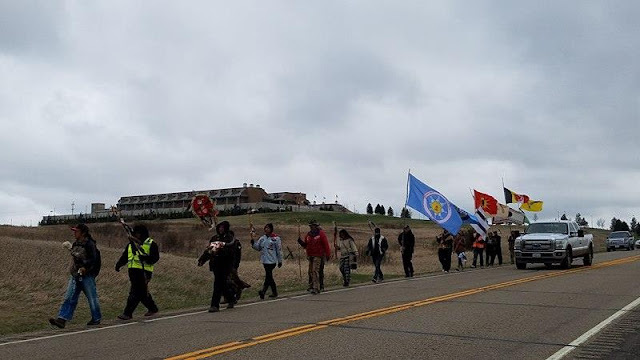 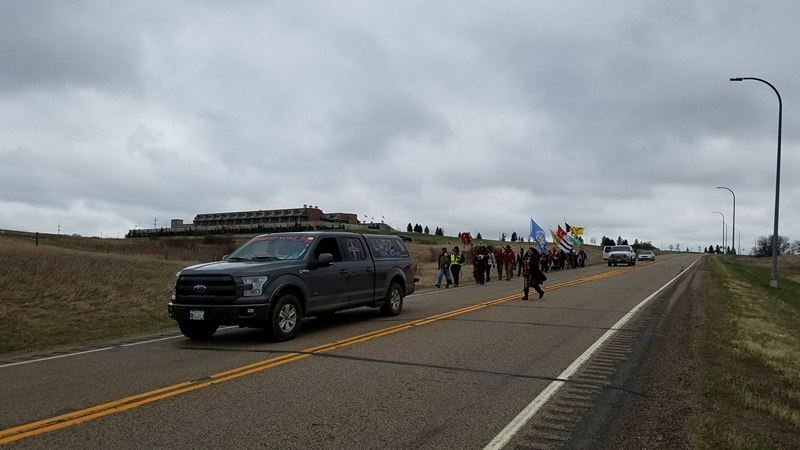 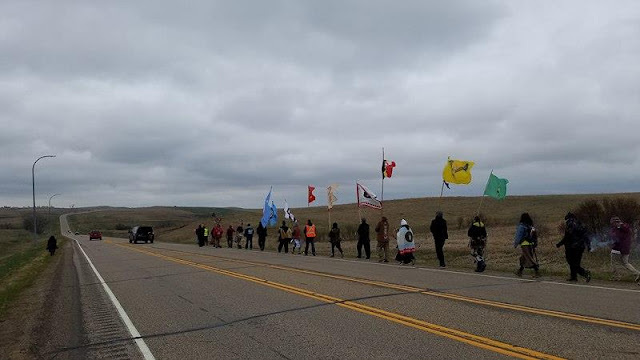 Long Walk 5 walking from Standing Rock Tribe's casino to camp today. 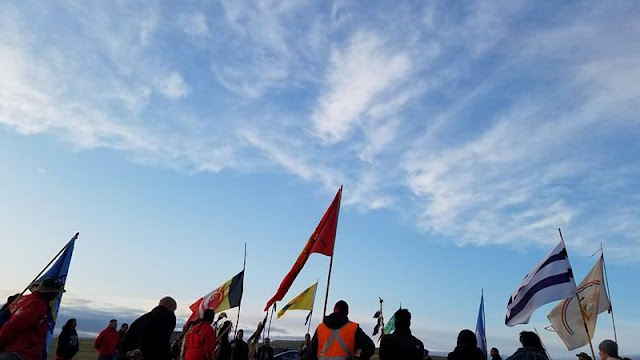 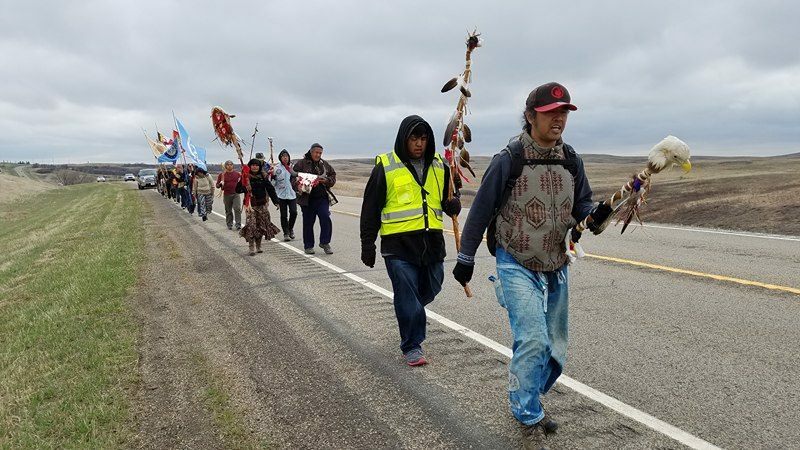 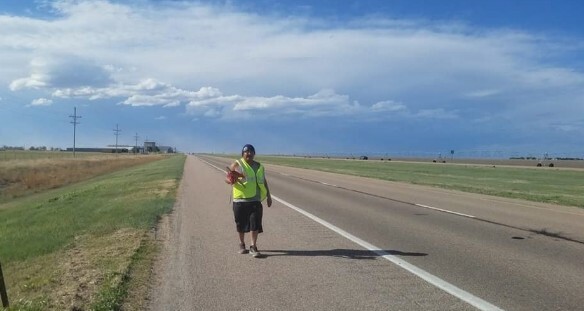 Photos by Western Shoshone Long Walker Carl Bad Bear Sampson, Long Walk 5, Standing Rock, April 18, 2017 --Walking from coast to coast to bring awareness to domestic violence and drug abuse.